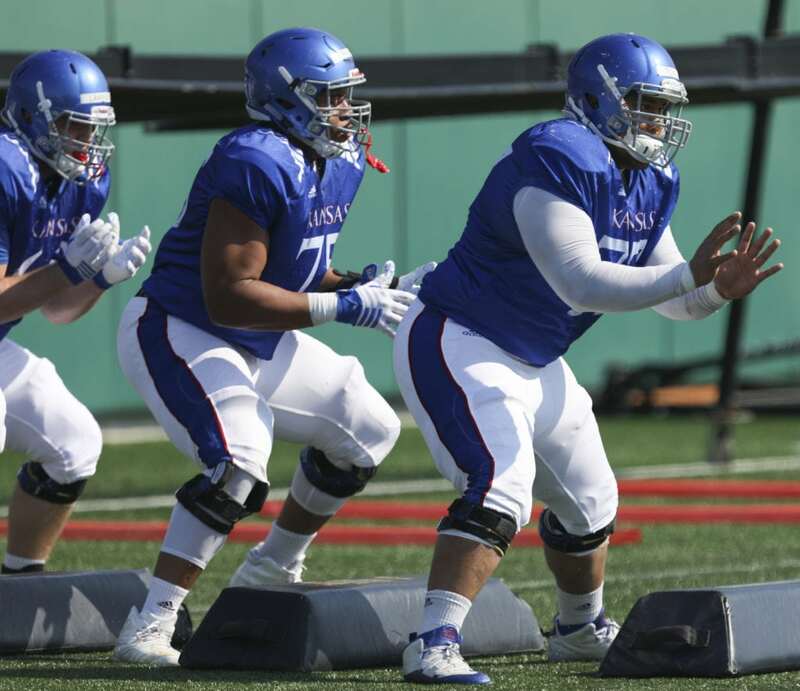 Kansas offensive lineman Andru Tovi, right, Antoine Frazier and Beau Lawrence shuffle through a line of pads during practice on Tuesday, April 10, 2018. 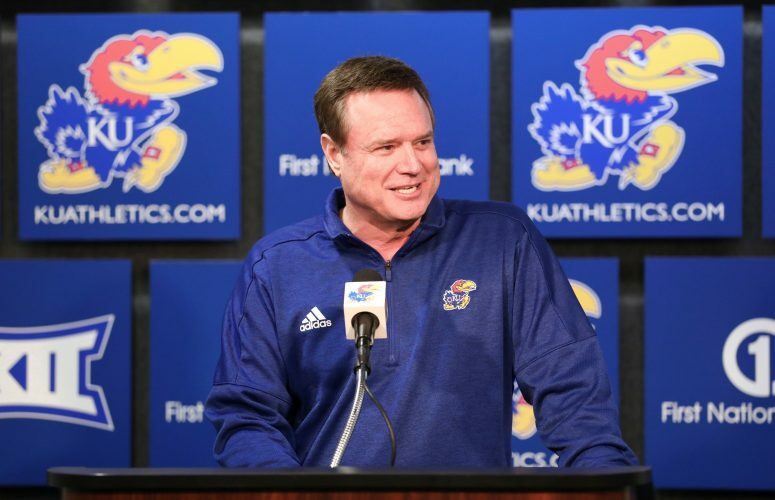 More than a month in advance of spring football, Kansas coaches shared the bad news with their players. Starting center Mesa Ribordy had to retire. 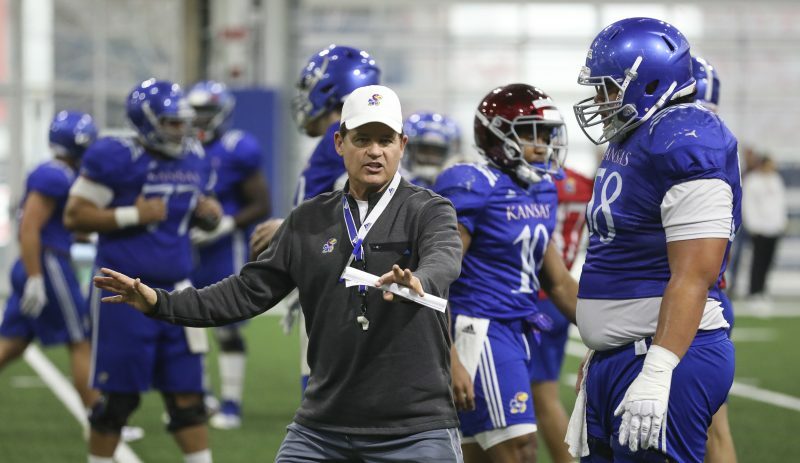 It was around that mid-February day when new KU offensive line coach A.J. Ricker sought out Andru Tovi, an eight-game starter at guard for the Jayhawks the previous fall. Would Tovi, Ricker inquired, have any interest in giving center a shot? “I told him I was open to playing any position to help the team,” Tovi recounted of the conversation that led to his shift in responsibilities. Tovi spent a year playing next to Ribordy, forced out of the game prematurely due to concussions, so the 6-foot-3, 320-pound junior from Hawaii knew how important Ribordy was for the Jayhawks. Tovi, after transferring from Pima Community College (Ariz.), often listened to Ribordy harp on the crucial nature of the O-linemen’s assignments and identifying matchups at the line of scrimmage. 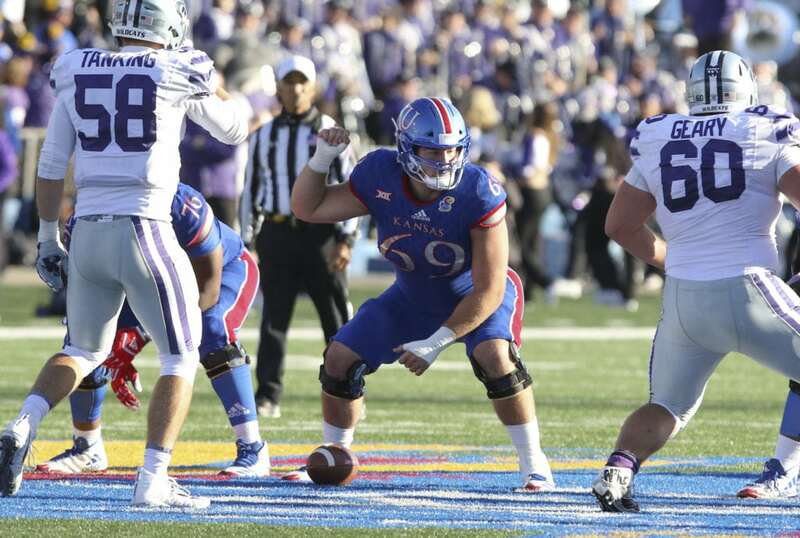 Kansas redshirt sophomore center Mesa Ribordy (69) gets set at the line during the third quarter against Kansas State on Saturday, Oct. 28, 2017 at Memorial Stadium. “It was great having him,” Tovi said, describing Ribordy as “a different type of O-lineman,” as much an analyst as a blocker. The recent football retiree is still around the program “here and there,” according to Tovi, helping with technique and offering advice. But now it’s up to Tovi, a longtime guard, to try and become as impactful a center as the man who played the position before him. In the midst of his spring introduction to playing center, Tovi conveyed he’s still learning. 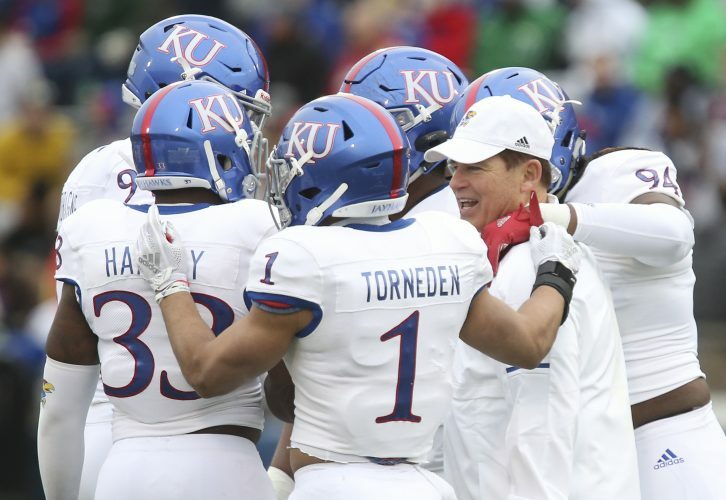 Of course, another key to the position, particularly since KU’s offense runs much of its playbook out of shotgun formations, is snapping the football with accuracy. 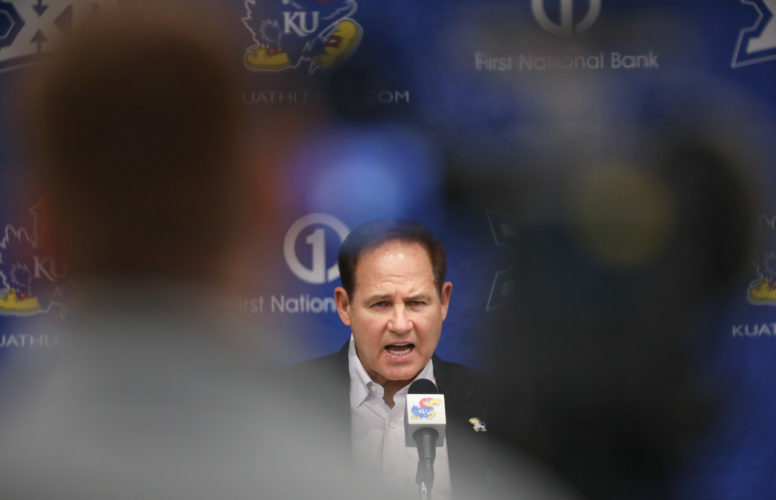 According to head coach David Beaty, Tovi already more resembles a center than a lineman trying to fill in at center. 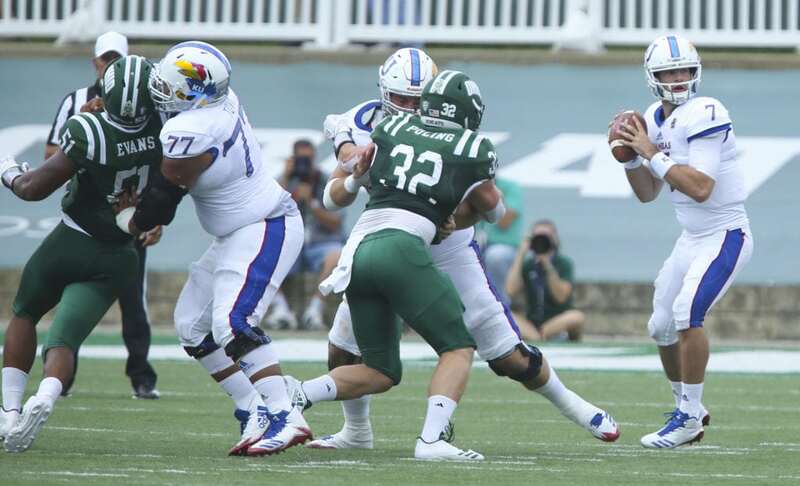 Kansas offensive lineman Andru Tovi (77) and Kansas offensive lineman Mesa Ribordy work to push aside Ohio defensive lineman Will Evans (51) and Ohio linebacker Quentin Poling (32) as Kansas quarterback Peyton Bender (7) looks to throw during the first quarter on Saturday, Sept. 16, 2017 at Peden Stadium in Athens, Ohio. 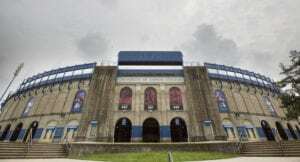 The concept of toughness has featured prominently within KU practices, workouts and study sessions this off-season. Tovi explained why Beaty has thrown around the T-word so often and what the coach means by it. Tovi realizes much will be asked of him not only at the line of scrimmage, but also, in a more general sense, as a leader and in-game analyst of sorts. Basically everything for which Ribordy was known. He’s still working on all of those center requirements. As concerned as Tovi is with making the correct calls and getting his fellow blockers to their assignments, he’ll also persistently demand toughness out of his teammates, because that’s part of leading the O-line, too.